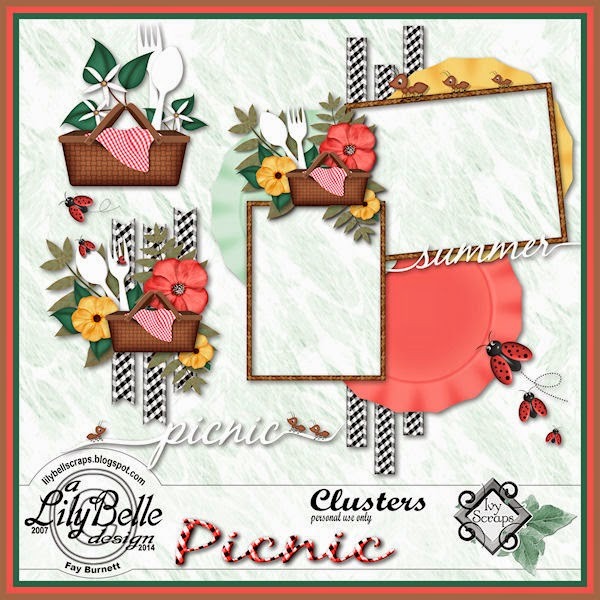 PICNIC (32 elements, 22 papers, 5 clusters) is available now in my store at Ivy Scraps for $1.50 – BUT – if you participate in the July Calendar and ATC challenges in Ivy’s forum, hosted by Bernie, you’ll be allowed to download this kit for FREE. 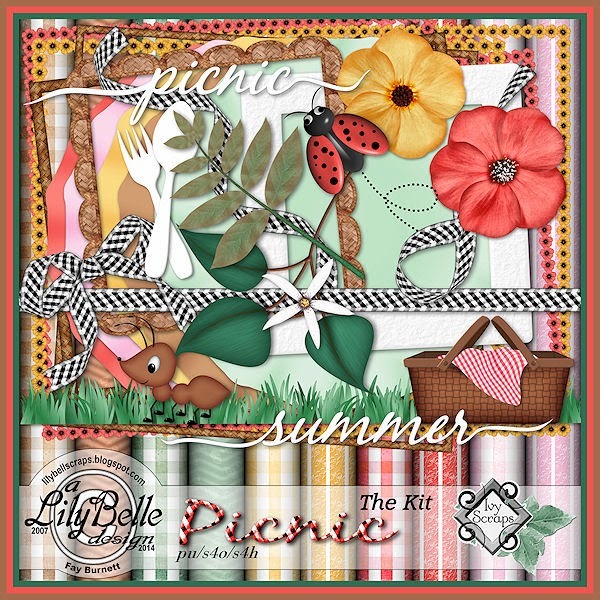 In addition, there are three freebies for you to collect all made using the papers and elements from Picnic – 2 sets of quickpages each in 3 size formats and a set of 5 clusters. 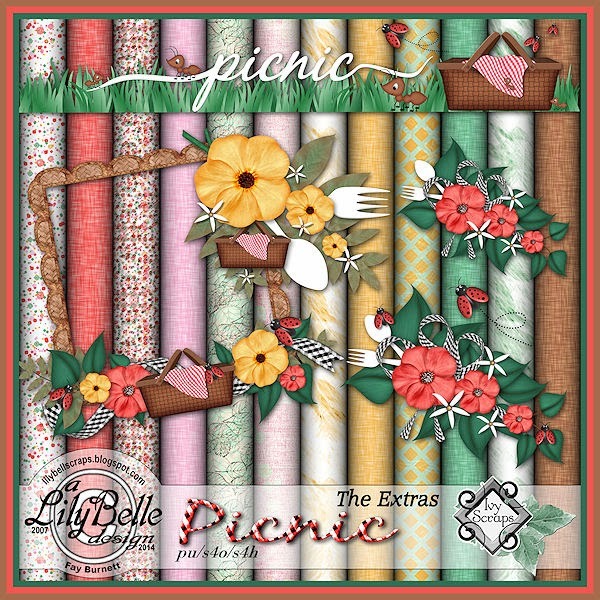 See the previews below. 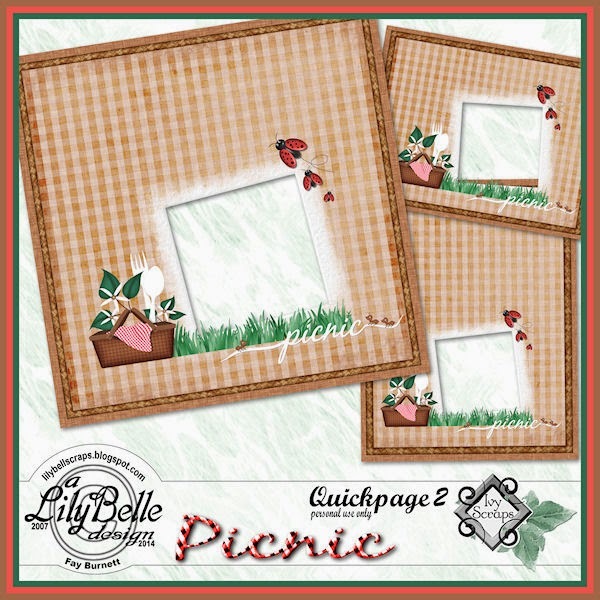 If you subscribe to Ivy’s monthly newsletter, you’ll find the exclusive download link for these quickpages in the July 1st issue. Thank you. These are so beautiful!